Invisalign! You’ve never heard of it? Well, we can understand that. After all, it’s not like you are ever going to see anyone wearing this brilliant solution to wonky teeth, as one of their main selling points is they offer invisible alignment. Hence the name. Invisalign in Weybridge is available from accredited dentists, such as us at Weybridge Orthodontics, where we make straightening out your teeth our sole focus. We really know our stuff when it comes to creating lovely smiles. Indeed, we have over 21,000 satisfied customers out there in the world with very big grins. Invisalign is one of the world’s most popular ways to straighten teeth. It’s different from traditional bracket and wires braces and it works well on mild to moderate misalignment issues. One of the main benefits of Invisalign is that it is pretty much undetectable when it is in place. This mouth guard-style straightener is made of clear, rigid 3D-printed plastic that is only 0.3mm thick. The other main benefit to this system is that Invisalign is removable. You take it out every time you eat, or drink anything other than clear water. People love this aspect of Invisalign in Weybridge because it gives them complete freedom with their food choices. People who have bracket and wires braces have to avoid foods that get could get stuck in their braces, or even break them. This can make things hard-going when treatment lasts for months on end, as it tends to do with straightening, as teeth can only be moved so fast. 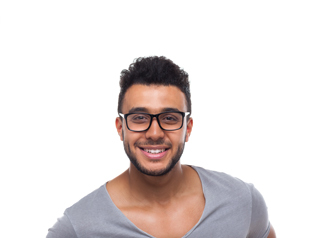 Thirdly, busy people love the fact that using Invisalign involves fewer trips to see us. With bracket and wire braces, the progression of movement is caused by the wires being tightened through the brackets, and that means a trip to the dentist every month at least. With Invisalign, you wear an aligner for 7-10 days. Pressure points carefully built into it nudge your teeth along, and when the pressure wears off, you move onto the next aligner in the series. You will still need to come in to see us so we can check everything’s going to plan, but you will need far fewer appointments. This entry was posted in Invisalign on 18th April, 2018 by Weybridge and Kingston.